Relegation appears to be the safe bet of Aston Villa as they are currently position at the very bottom of the Premier League and they just can’t win matches. Fans who fancy staying away from the football for the next few weeks can take their pick from a list of the best Playtech pokies at Pokies Palace - there is probably more chance of getting a winner there than at Villa Park!? With so many underwhelming performances and results, there are already rumors going on as to who is going to be the next manager of Aston Villa and this list of potential replacements include coaches such as: the former Leicester City coach Nigel Pearson and current manager of Hull City Steve Bruce. Garde has only been able to win 3 matches since he took charge of Aston Villa back on November. So far, Remi Garde has guided the Premier League club throughout 23 games but he has only won 3 games, this is a dire situation and things have to be changed in order for Aston Villa to have any chance of surviving in the Premier League for another season and the first change that is likely to be done is removing Remi Garde and replaced by someone who might be able to push Aston Villa away from the bottom relegation zone. 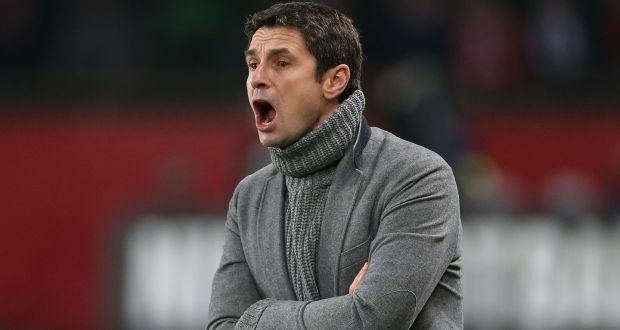 Despite only been in charge of Aston Villa for less than 5 months, the future of Remi Garde appears to be bleak as the defeats continue to pour down.